When you are looking for friendly, professional service in a convenient location, look to the Albany Ramada Plaza Hotel. Our mid-town Albany location offers the convenient access to downtown Albany and all of the Capital Region’s major highways, as well as the Empire State Plaza, Times Union Center, New York State Capital, Washington Part, USS Slater destroyer ship, College of Saint Rose, University at Albany, Siena College, and Hudson Valley Community College. As our guest, you will enjoy a complimentary full American breakfast buffet every morning along with a morning newspaper- a value that just can’t be beat. The breakfast buffet includes scrambled eggs, breakfast meats, hot and cold cereals, yogurt, granola, fresh fruit, pastries, bagels, make your own waffles, milk, juices, coffee, tea, and hot chocolate. Full-service amenities and features of this Albany hotel include complimentary full American breakfast buffet, complimentary Wi-Fi, free weekday newspaper, free local and toll-free calls, and free shuttle to and from Albany International Airport, Amtrak, and Albany Bus Terminals. This Albany hotel also offers its guests 6,000 square feet of meeting space, ideal for intimate social gatherings and corporate groups and the perfect setting for an unforgettable wedding celebration. Enjoy after-work cocktails or create new friendships in The Plaza Grill, our comfortable and lively restaurant. Menu specialties include steaks, pasta, pub-fare, and heart-healthy selections. The Plaza Grill is the perfect place to watch sports, host a meeting, or enjoy a light snack while checking e-mails. The Albany Ramada Plaza offers the best combination of comfort and value in a location that is ideal for out of town guests. 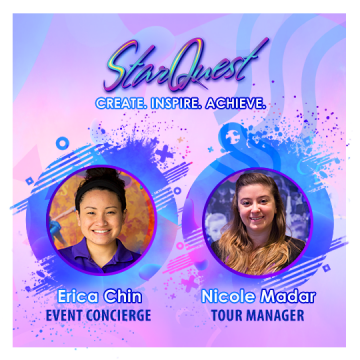 Book your room by calling the Front Desk (518-438-8431) and tell them you’re with the “StarQuest International Friends & Family” group!